Got inflammation? Have you heard about the awesome health benefits of turmeric? This Golden Milk Turmeric Paste is a delicious and easy way to get more of this superfood in your life. 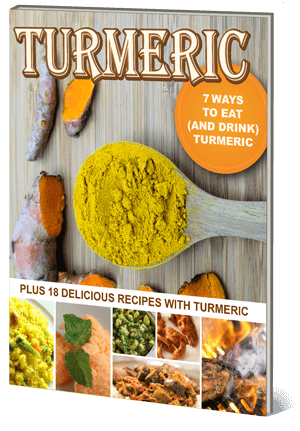 I’ve written before about the many health benefits of turmeric. It’s a spice that I try to add to my meals as often as possible. Not only is it a great anti-inflammatory, it has also been shown to have powerful antioxidant and anti-cancer properties..
How to get more turmeric in your diet? One thing to keep in mind when adding turmeric into your diet is that the active ingredient in turmeric, curcumin, needs a bit of help to be able to be absorbed into our bodies. If consumed all by itself, turmeric is quickly metabolized out of the body without being absorbed. Studies have shown that the active ingredient in black pepper, called piperine, will increase the bioavailability of curcumin by over 2,000%. (source) Curcumin is also fat-soluble, meaning that it needs a bit of healthy fat to be able to be absorbed into the body. An easy solution to both of these issues is to consume Turmeric Paste. It has both pepper and healthy fats in it and is a simple and delicious way to get more turmeric into your diet. My favorite way to use the turmeric paste is to add it to a little warmed homemade coconut or nut milk to make golden milk. Golden Milk is an immune-boosting remedy that ancient cultures have used for years to benefit digestion and health. It is the perfect evening time cozy drink. You can add as little or as much as you like, depending on your preference. You can also use the paste to flavor stir fries, stews, eggs, veggies, yogurt and anything else that makes you happy. I also love to just eat it by the spoonful from the fridge. My dear friend added 2 tablespoons to her iced coffee the other day, and it was out-of-this-world crazy good. Combine pepper, ginger, cinnamon, cardamom, and salt in a small bowl. Set aside. Combine turmeric and 1 and 1/2 cups of water in a small pot, stirring constantly with a wooden spoon. Bring mixture to a very gentle simmer and add another 1/2 cup of water. Continue to stir with wooden spoon. Add mixed spices and continue to cook and stir on low for 3 minutes, until you have a thick and smooth paste. Add optional sweetener while mixture cools. Transfer to clean glass jar. Place lid on jar after mixture has completely cooled. Store in fridge for 2-3 weeks. NOTE: The sweetener is totally optional. I think honey is the perfect addition to round out the flavors of this delicious paste. Feel free to omit it if you like. You can still make Golden Milk with it. Just add a titch of sweetener to your spiced milk. NOTE: This paste should stay good in the fridge for 2-3 weeks, especially if you use a clean spoon every time you dip into it. I also like to sterilze my jar before using it. To sterlize jar : Preheat oven to 200’F. Place clean glass jar, without lid, on oven shelf for 10 minutes. Turn off oven and put lid on jar and leave in oven to cool.